Image made by Marcos Kontze, complete with misspelling of Pinewood Studios (“Pinweood”). Marcos Kontze, editor of the James Bond Brasil website, came up with a bit of wishful thinking — an image of an Eon Productions invitation for a May 11 press conference at Pinewood Studios. He posted one image on the message board of the MI6 James Bond website. He posted another on Twitter. “In desperate need for official #Bond25 news. I created this, wishing it could be true,” he wrote in his post on Twitter. 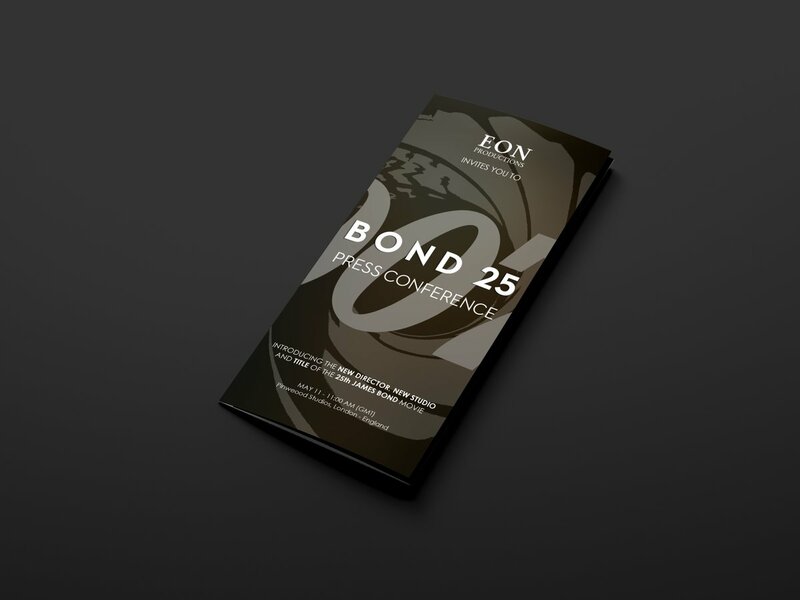 The make-believe invitation is for the introduction of Bond 25’s director and title as well as revealing the “new studio” for the film. There was a flaw in the image. It misspelled Pinewood as “Pinweood.” Despite that, it flew around the internet today, showing up in various places. James Bond Brasil is one of the most trafficked 007-related websites. In 2012, it got ahold of some Skyfall call sheets, something that caused a stir at time. In 2015, Mr. Kontze had photos taken of himself with SPECTRE crew members, including director Sam Mendes.